Living off the grid — the power grid — is a term used to encompass those individuals who either by choice or circumstance are not living with city-provided services such as electricity, heat, water and, in some cases, sewer. There are varying levels of living off the grid: some choose solar or wind energy versus conventional electricity to power their homes, which is becoming more acceptable, while others are more extreme and include not being connected to city water and sewer. Most people who choose to live off the grid — either for financial or environmental reasons — do so outside of city limits because most municipal zoning ordinances require those living in the city limits to be connected. Although still rare, there have been some cases cropping up creating disputes between those who feel they should have a right to live as they choose and city officials concerned with the public safety of all citizens. Two such cities that became entangled in legal disputes are Cape Coral, Fla., and Huntsville, Ala. City officials from Cape Coral said its sole case created such negative repercussions that it didn’t want to revisit it. Some cities, meanwhile, have changed their ordinances in recent years to promote a more sustainable lifestyle, which is what many who want to live off the grid are seeking. 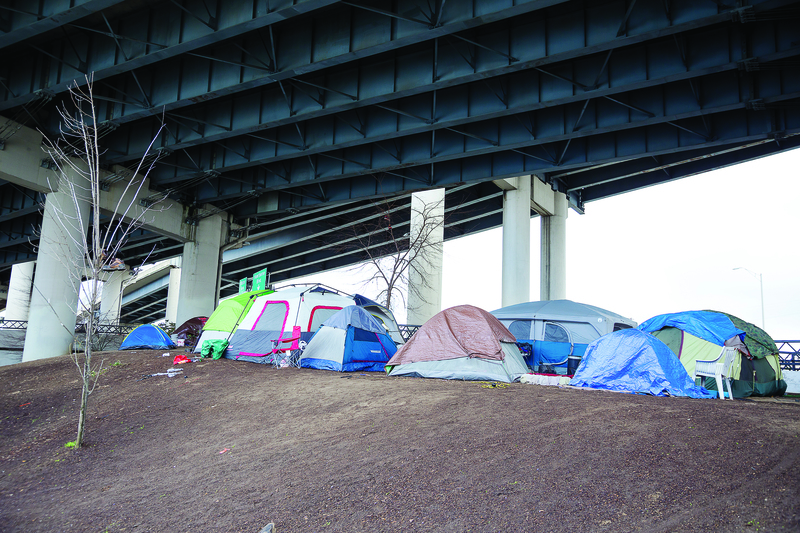 However, a more common and growing problem for many cities and towns is the homeless population, several of whom create “tent cities” within city limits. Then there’s a third, also not so common scenario where individuals because of mental health issues disconnect from city services. Traverse City, Mich., code enforcement officer Michael Trombley said while they haven’t had any people requesting to live off the grid, they did have a case awhile back of an 80-year-old woman with mental health issues who intentionally had her power and water shut off. Trombley said in her case it wasn’t a financial issue. According to an article in Home Power Magazine in 2013, as of that year there were at least 180,000 families living off the grid in the U.S., and it said the numbers increase each year. 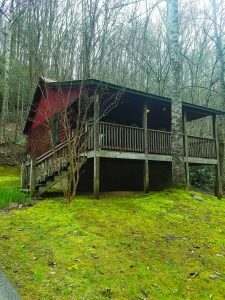 In a list of best places to live off the grid (see sidebar), Tennessee was listed as number one. Pigeon Forge, Tenn., assistant city planner Karl Kreis said the city has not had a lot of requests for people wanting to live off the grid. “One thing that does occur a lot is people wanting to hook up an RV — we do have a lot of RV parks — even year-round,” he said. Nearby Knoxville, Tenn., has been very proactive in becoming a more sustainable city with changes in the way that city employees do certain things and also by changing ordinances to encourage residents toward a more sustainable lifestyle. Sustainable living has several definitions: living within resources of the planet without damaging the environment; reducing harm to the planet and reversing harm that has already been done; and renewing resources at a rate of growth more than is consumed. Knoxville has enacted a number of programs within its 2007 Energy & Sustainability Initiative, including the launch of a partnership with a community group called SEEED Knox, or Socially Equal Energy Efficient Development, to provide door-to-door outreach to engage residents in energy efficiency and recycling. SEEED Knox is a green community development nonprofit focusing on creating and sustaining jobs for Knoxville urban young people as well as ensuring clean energy technologies are available for low-income residents. 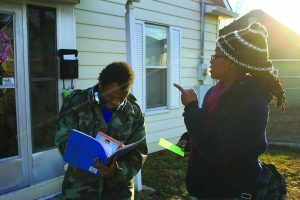 “This canvassing model is a win-win: students canvassing is part of SEEED’s Career Readiness Program, and they practice communication skills while helping us increase awareness about our programs,” said Director of Sustainability Erin Gill. One program called KEEM — Knoxville Extreme Energy Makeover — launched in August 2015. It has provided whole home energy upgrades to nearly 1,300 low-income homes and educated more than 1,700 on how to save on utilities, according to the Energy & Sustainability Initiative report. To control invasive species the city contracted for goat labor, which Knoxville officials state has proven to be an effective, nontoxic way to eliminate unwanted vegetation. They’ve used the goat labor to clean up kudzu in Fort Dickerson Park and also at Williams Creek. Also in 2015 city officials approved updating the zoning codes “to remove barriers and better accommodate urban agriculture,” including community gardens, market gardens and seasonal produce stands. Besides gardens, urban agriculture also includes beekeeping, composting, keeping domestic chickens and hydroponics. There are certain regulations city residents have to abide by to have compost piles, beehives, chickens and greenhouses on their properties. While it does not address people who choose to live completely off the grid, it does encourage those residents who wish to live a more eco-friendly life. Homeless people, on the other hand, are living off the grid more by circumstances in their lives versus by choice. Bankruptcy, health issues and alcohol or drug addiction are some of the reasons people find themselves without a home, and many city officials will admit that it’s a growing problem in their community. Now whole communities of homeless people are living in tent cities or congregating in other areas of cities. Trombley of Traverse City said homeless people living in tents have been growing in his city. He said for years a group of 10 to 12 churches formed a group he said was called Goodwill Outreach and would take turns each week hosting the homeless from Thanksgiving to the end of April. He said each evening a big U-Haul filled with mattresses and Tupperware tubs for their personal belongings would show up to hand those items out and returned at 7 a.m. the next day to pick them up. Trombley said a couple of years ago the city sold them a vacant building, which became the Goodwill Homeless Center. 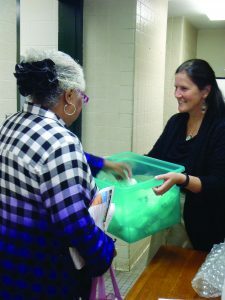 Churches still provide food and the homeless can utilize the center to do laundry, take showers, etc., as long as they are out during the daytime hours. In the summer they are provided tents and there are wooded areas within the city where they camp out. Under the leadership of Mayor Madeline Rogero in 2014, Knoxville adopted its “Plan to Address Homelessness,” and the Knoxville-Knox County Homeless Coalition was given the responsibility to develop community-wide standards of care and outreach and placement for the homeless. They partnered with many agencies to assess and address the needs of the homeless in their community, and that effort is ongoing. Whether it’s a growing homeless population or a growing concern for the environment, if off the grid living hasn’t reached your community as of yet, chances are it may very well in the future.